Welcome to Bloomfield Apartments, where individual apartment homes, management, and apartment community amenities all combine to help residents feel at home here in Columbus, IN. With well-thought-out floor plans, essential amenities and a prime location, we’ve thought of everything residents may need in apartment homes to make a wide variety of lifestyles feel comfortable and happy here. Our pet-friendly community is as welcoming as it is freeing! Enjoy easy access from our apartment community to places like Columbus Regional Hospital, Fair Oaks Mall, Indiana University, Ivy Tech, and other Columbus schools. Even if these aren’t high on your priority list, know that you can also conveniently reach other spots in the city or surrounding areas from our apartments because of our ideal location near bus routes, I-65, Highway 31, and SR 46. Spacious floor plans outfitted with essential amenities mean residents have a charming sanctuary to relax in after a long day, without worrying about missing out on anything. Living at our apartments is as straightforward as you need it to be with on-site maintenance ready for you to use whenever you need, and especially with water, heat, trash, and sewer service costs included in rent. Choose from our one- and two-bedroom apartment floor plans to find an apartment that works well for you. Bloomfield Apartments is also a great place to live if you’re looking for a space that offers a natural way to stay involved in the community and get to know your neighbors. 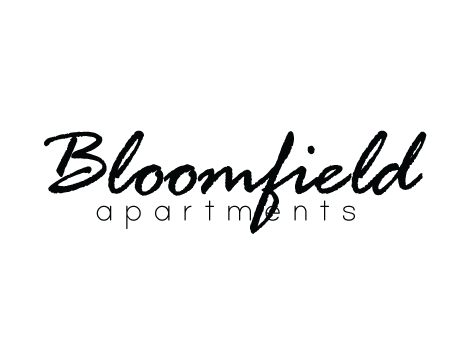 Whether you’re relaxing by our sparkling apartment community swimming pool or taking advantage of our laundry facilities, Bloomfield Apartments is just the place for you and other Indiana residents to call home. Learn more about our apartment community today by browsing through our photos or contacting us to schedule an in-person tour. We look forward to hearing from you!